The Red Bull Holden Racing Team must rectify its qualifying struggles in order to fight Shell Ford driver Scott McLaughlin "head to head" for the championship, says Shane van Gisbergen. For the second event in a row, both van Gisbergen and team-mate Jamie Whincup started the Saturday race from outside the top 10, qualifying 14th and 11th respectively. Sunday's ARMOR ALL Qualifying yielded seventh for van Gisbergen and eighth for Whincup, against a Shell team that locked out the front-row for both races. 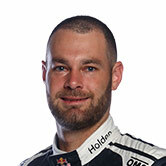 Van Gisbergen starred in each race to take a third and a second, ahead of McLaughlin on both occasions, trimming the championship deficit to 131 points. 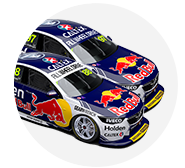 Like the majority of teams, Triple Eight will undertake a test day in early June, where it will attempt to extract more speed from its ZB Commodores. The ZB model is new for all Holden teams this year, while the whole field reverted to the 2016-construction Dunlop tyre. 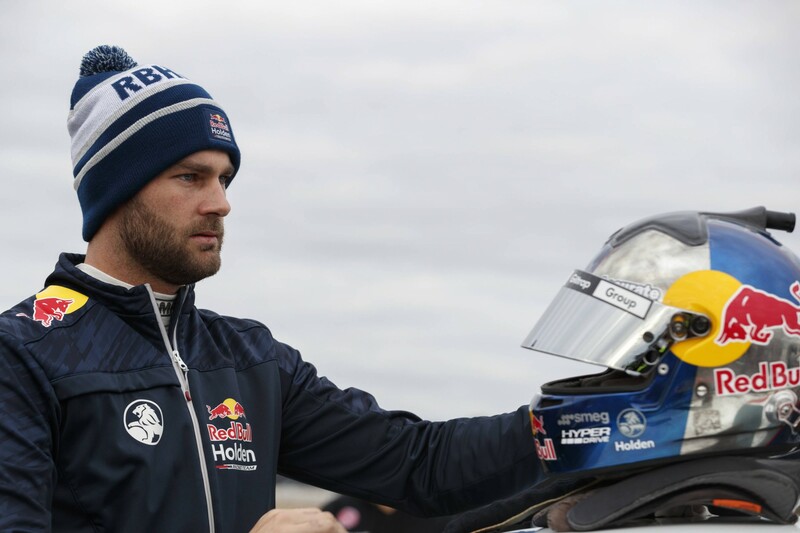 “I don’t know what it is about qualifying, we’re just struggling to make this tyre switch on and round-to-round we’re not consistent,” said van Gisbergen. “But out race pace is always there, so we need to find something out, because all three [Triple Eight] cars were struggling. We need to do some homework and make that better. “We clawed a few points back by being better at racecraft and good strategies but eventually Scotty's going to fix his starts and get off the line and then it’s going to be hard to beat him. 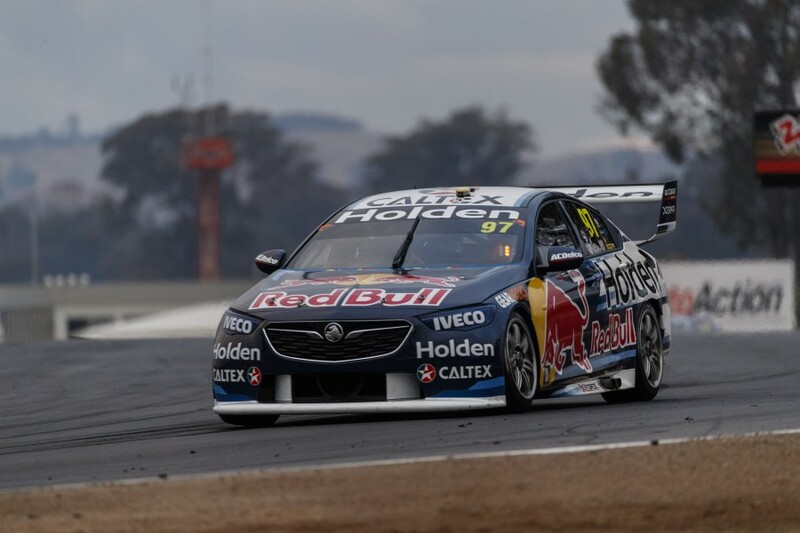 While qualifying was a struggle, van Gisbergen excelled in the races and said he was relishing Winton's high-grip surface that – since being resurfaced in 2016 – is kind on tyres. “I just love tracks like this. You go to Perth and drive around at 20 percent and it's just crap,” he said. “You drive to a tyre whereas you drive here and you just push the whole way and it's so much more enjoyable. Van Gisbergen ran a long first stint on Sunday and, with strong race pace, eventually emerged from his second stop on the tail of second-placed McLaughlin. He passed his title rival with 17 laps to go, at which point he faced a seven-second gap to leader and eventual winner Fabian Coulthard. “We wanted to pit early I think but Jamie took that option so we kept pushing on like [Saturday] and passed most of the people with pure pace rather than on the track,” he said. “Pushing at the end, I was trying to catch Fabian but he started matching me and as my tyres went away I just cruised to the end.